The Neston and District Community Fund is backing a vital project to improve the lives of families in need. The Neston Healthy Families project is a 6 month initiative working alongside families with multiple and complex needs, identified by primary schools in the area, Plus Dane Housing and Neston Children’s Centre. The project is led by Healthbox CIC, a not-for-profit organisation committed to delivering lifestyle change programmes in the community. 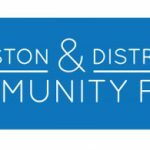 The Neston and District Community Fund supports community and voluntary groups in Neston and the immediate surrounding area. It was founded in January 2015 by Phillip Bates & Co Chartered Accountants, Clive Watkin Partnership, Rightway and G Tilby Engineering. 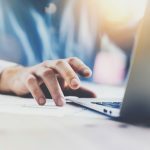 The fund is administered by Cheshire Community Foundation, which connects charitable donors, including business owners and private individuals, with the causes that matter in Cheshire and Warrington. 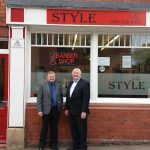 Phil Bates, Principal at Phillip Bates & Co Chartered Accountants, said: “As soon as we heard about the Neston Healthy Families project, we had no hesitation in agreeing to fund the initiative. The organisation is working closely with the Children’s Centre to deliver the programme. Georgie continued: “As part of the project we felt it was really important to include early years’ activities for parents and carers of under 5s alongside whole family activities. “The project’s main aim is to improve the health and wellbeing of the participating families through interactive cookery, participant chosen workshops and ‘out and about with kids’ activities and community events. “Healthbox CIC delivers a popular Babies and Toddlers nutrition package for Ellesmere Port families through Portside and Parklands Children’s Centres and we are keen to offer Neston families similar activities to encourage a love of healthy eating from an early age. Organisations can apply for funding from the Neston & District Community Fund but, if additional funding is needed, other CCF-managed funds may also be able to assist. Zoe Sheppard, CEO of Cheshire Community Foundation, said: “This is a fantastic example of a charitable fund making a very real difference in their immediate locality. Phillip Bates & Co and our predecessor firms have been providing clients with a professional, friendly and approachable service for more than 100 years. Registered to carry out audit work in the UK and Ireland by the Institute of Chartered Accountants in England & Wales.